Most people assume that the criminal justice system in Texas is fair, or at least makes sense. It’s only when they get arrested do they discover how FUBAR this “justice” system can be. Here is one example, say you get arrested for a DWI, you end up pleading to a traffic ticket, and the State dismisses the DWI case. You’d think you could have that DWI case expunged right? WRONG. The Dallas Court of Appeals recently ruled on that very issue in EX PARTE JOAN REIMHERR FALLIS. Fallis was arrested for DWI in Gillespie County. As part of a plea bargain, the DWI was dismissed and Fallis pled guilty only to illegal parking. Later Fallis wanted this DWI off her record, after all, it was dismissed so that seems reasonable right? Yeah, not so much. Good news in the world of DWI’s has emerged from the 85th Texas Legislature. If certain criteria are met, now, it may be possible to file a petition for non-disclosure on DWI convictions. Texas House Bill 3016, Government Code 411.0731, defines the procedure and criteria. Section 411.0716(a) explains that this new act will apply to DWI’s committed before, on, or after September 1, 2017. Does my DWI conviction qualify? This new section will only apply to a person who has successfully completed a term of community supervision. This means that your community supervision was not revoked, you successfully served any jail time given and you paid all court costs, fines, and any other restitution imposed as part of the conviction. So what happened to Mr. Guo? CLEAT, the largest police union in Texas, has developed a new app to help law enforcement officers across Texas. Now what should be a standard feature in a police app? The traffic code? Yelp listings for breakfast nearby? A list of the most wanted criminals? The local unofficial ticket quota? The best way to “lose” video evidence? How about the ability to quickly lawyer up after you shoot someone one? Because that’s what CLEAT put in their app. What Happens When the State Violates a Discovery Order in a DWI case? One reason we needed the Michael Morton Act (which improved on our State’s horrible discovery rules in criminal cases) is that the State was hiding evidence which convicted innocent people. One problem with the Michael Morton Act, and the prior discovery rules is that there is no penalty if the State fails to turn over evidence, and then chooses to surprise the defense at trial with secret evidence. Let’s contrast this situation to the standard that we hold defendants, in which they are penalized at every stage of a proceeding for the slightest error. Defendant has work and misses a court date? Warrant! Defendant objects to the wrong subarticle of the Code of Criminal Procedure, that issue is waived on appeal! 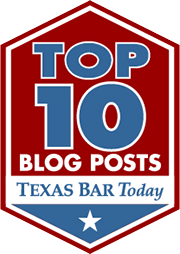 They created a new board certification for criminal appeals in Texas. But you don’t have to be an appellate genius to guess the outcome of any criminal appeal. 95% of the time whatever violations of the evidence rules, code of criminal procedure, or Constitution will be overlooked if the court of appeals can uphold a conviction. That’s the purpose of appellate courts in Texas, to uphold criminal convictions, and to reverse judgments for damages against Defendants in civil cases. Have you been arrested for a State Jail felony drug possession in case in Dallas, Rockwall, or Kaufman County? Are you currently a recreational meth, coke or heroin user? Here is what you need to know.Possession of small amounts (less than one gram) of street drugs (coke, meth, heroin but not weed or some pills) is a State Jail felony in Texas. What is a State Jail felony? Good question. Let’s start with that. State Jail felonies are the lowest degree of felony in Texas, but it can still leave you as a convicted felon which has life altering consequences. The range of punishment for a SJF is between 6 months and 2 years in a State Jail unit. But here’s the good news, the State Jail system was originally designed to make drug addicts sit in jail until they were cured, so there is no parole from State Jail. But the State Jails filled up too fast and cost the State too much money, so if you have no prior State Jail drug cases then you are going to be looking at probation. So you’ve been shot by the Dallas Police and you want to sue? 19-year-old shot by Dallas police officer sues in federal court for ‘a very large sum of money’ | Dallas Morning News. DMN reports on a very quickly filed lawsuit following yet another DPD shooting. I wonder if the new 72 hour rule for DPD officers will play a role in this case? I get contacted fairly often regarding allegations of police misconduct and people want to know if they can sue the cops if they are abused or treated unfairly. Let’s go over the petition in this case, titled Kelvion Walker vs. Amy Wilburn to understand the basics of a federal lawsuit against law enforcement. Lesser included offenses can be an important part of a criminal jury trial. Some offenses, like misdemeanor DWI, don’t have any lesser included offenses. Others, like Aggravated Assault, are full of lesser included opportunities. What is a lesser included offense? Let’s take an aggravated assault case. The difference between an aggravated assault (felony) and a misdemeanor assault is “serious bodily injury”. Aggravated assaults require that someone suffer a serious bodily injury, where misdemeanor assault just require some injury. So if you are on trial for aggravated assault, and you want to argue over whether the injury was “serious”, then you can ask that the jury be allowed to consider the lesser included offense of assault. That means, instead of just deciding if the defendant is guilty or not guilty of aggravated assault, the jury could consider finding the defendant guilty of only a misdemeanor assault. Confused? That’s ok, this isn’t an exciting topic for the lay person. This being Texas, we do all sorts of mental gymnastics to uphold convictions on appeal. So if you want to appeal a conviction because the trial judge would not allow a lesser included instruction, here is how the court will decide that issue (spoiler alert, they will rule against the Defendant, but this is how they will rule against the Defendant). I went to my first DFW NORML meeting last night and came away very impressed. Really good speakers and a lot of very friendly and enthusiastic supporters. Over 120 people showed up on a holiday weekend, which is something I wouldn’t have thought possible 10 years ago. When I first started blogging legalization and reform of marijuana laws was still not a mainstream topic. Locally in Kaufman County I know at least a few people thought it was a strange issue for me to champion. Back then we had a few medical marijuana states, but no where near the momentum we have now. It’s rare now that I discuss marijuana prohibition with anyone under 40 who thinks it’s a successful program that should be continued. The game has changed folks, and momentum is on the side of freedom and growing every day. Much more media attention on the issue, polls are showing that political majorities across the country support reform, and the scientific evidence for marijuana’s medicinal qualities is too strong to question at this point (unless you’re the DEA). That’s the good news. The bad news, we still live in Texas and authoritarian social conservatives still exert too much influence on the political process. We can fix things in the Lone Star State, but like any political movement more people need to get involved. The best way to do that is to join your local NORML chapter. If you work in criminal justice long enough you see situations in which rules are broken often. Defendants break rules and face the unbridled wrath of the criminal justice system (which seeks to take their money, time, and sometimes freedom). But what happens when the Government breaks rules? More often than not, the Government changes the rules so that they don’t get caught again. DPS is a good example. The “scientists” at DPS are notorious for rewriting the breath test guidelines whenever the rules become too burdensome or difficult. That is, whenever the system can not clear the embarrassingly low hurdles it sets for itself to insure credibility, it moves the goal posts. Rather than trying to say, quit breaking rules, the Government forgives itself and moves on. It’s similar to the “harmless error” analysis that our pro-conviction authoritarian judicial activist appellate courts have taken. The Defendant makes a mistake and pays with his freedom, the Government violates the Constitution and it’s “no harm no foul” (with former prosecutors deciding what “harm” is”). The only truly accountable actor in society today is the individual, the Government need not be bothered by pesky things like laws, rules, or the Constitution. But I digress. The latest example comes from the Dallas Police Department. Bobby Bennett is mentally ill and his mom called the cops for help (a larger issue we will skip is the intersection of the mental health and criminal justice system). The shooter, DPD Officer Cardan Spencer, lawyered up and waited to give a statement about what happened (even cops know not to talk to cops if you are suspected of possible wrongdoing). Meanwhile Spencer’s partner at the scene, Christopher Watson, gave a statement that said Bennett “aggressively approached” Spencer with a knife. Bennett was arrested and charged with aggravated assault.